CBS News asked filmmaker Griffin Hammond to create a trailer for his upcoming documentary, Sriracha, as they are planning a story about it. Pretty exciting stuff. I have a feeling we’ll be seeing a lot more about Hammond’s Sriracha film as the release date nears (nothing firm yet). We first reported about Hammond’s Sriracha Movie – Trip to Thailand back in Aug 2013, where you can catch up on the background. Official website: Sriracha – a documentary film by Griffin Hammond. Sriracha – A Documentary by Griffin Hammond just wrapped up a trip to Thailand for some filming. Funded on Kickstarter, Griffin’s efforts raised over $21,000 dollars to help make this landmark documentary about America’s favorite Thai hot sauce. Check out this short video Griffin made of his recent trip to Thailand to get some footage for his Sriracha documentary. It’s been named “Ingredient of the Year” by Bon Appetit, “best-tasting hot sauce,” according to Cooks Illustrated, and in 2012, Huy Fong Foods sold 20 million bottles of Sriracha! That’s 100 million pounds of chiles! 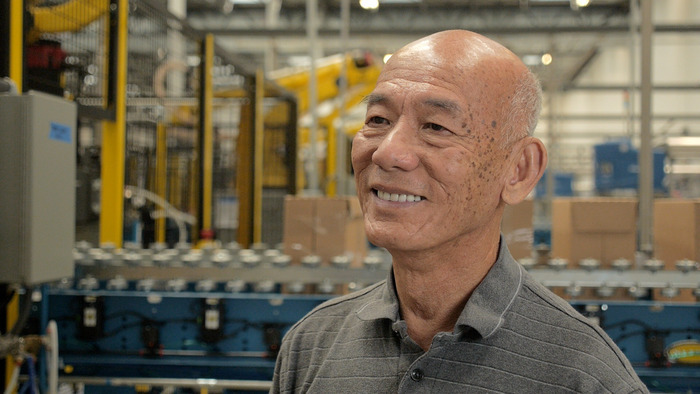 But even with its cult following—recipes, t-shirts, tattoos—most fans don’t know the origin story of this Thai flavor, or recognize David Tran, the man responsible for popularizing Sriracha in the U.S.
David Tran, founder of Huy Fong Foods, fled Vietnam as a refugee in 1978. After 30 years of producing Sriracha chili sauce in Los Angeles, he’s altered the history of American cuisine. This short documentary (approximately 30 minutes) finally reveals the story of Sriracha—where it comes from, how it’s made, and the people who love it. Over 70,000 bottles of Sriracha are made each day at Huy Fong Foods in California. About the film: It’s an anthem for Sriracha lovers! Detailing the fascinating origins of this beloved hot sauce, and the people who love it. 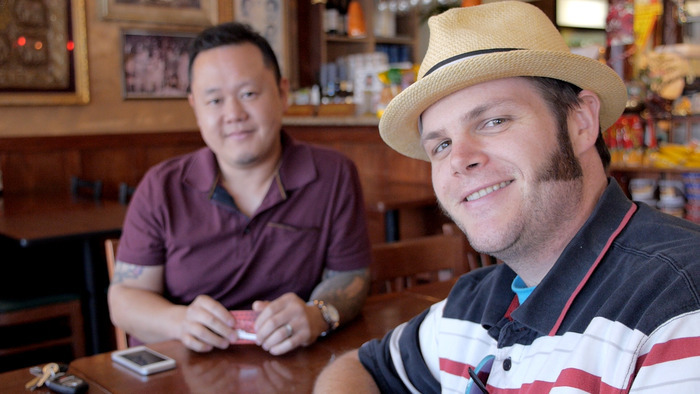 Featured in the film: Randy Clemens, author of “The Sriracha Cookbook,” and chef Jet Tila, Thai Culinary Ambassador to America. Stay tuned to HotSauceDaily.com for updates about the film and when it will be released. And please join us in the Sriracha Community on Google+, where we talk about all things Sriracha.